ON March 2, while all our families and friends were busy celebrating the marriage of my son and I was busy greeting guests, I saw a statesman looking little stressed yet composed, gracefully walking towards me holding a stick in hand. When I realised it was the great Naresh Chandra, I was elated, but my heart sunk for a moment seeing a pale shadow of his previous vibrant self. In fact, on that occasion we were meeting after a long gap and I was touched that the man I always admired and looked up to came to bless the newlywed couple. I silently prayed for his good health. That great soul is no more. I first met Naresh Chandra in 1986. A Rajasthan cadre IAS officer of 1956 batch, he was proactive and self-driven; Chandra was emitting energy all around yet carried himself with such grace that being in his presence made you feel good. Such was the vibe between us that our first meet of minutes turned into a long associations of decades . We have met many times, interacted more closely and have developed a close relationship. In all my interactions with him I have experienced the warmth and concern for people and society. A honest man with exceptional sense of integrity Chandra had impressed me quite often as well as a large number of civil servants, diplomats, politicians, world leaders and top industrialists of this country and the around the world. With a great career spanning decades Chandra had worked in many important positions at the national and international level. He has been the defence secretary, home secretary, industry secretary, Cabinet secretary, adviser to PM, Governor of Gujarat and Indian Ambassador to USA. He was the one who played many key roles in realising the nuclear vision of the nation and in establishing liberal economy in the country. In fact, the blue print of the liberalisation though prepared earlier was finalised when Chandra was the Cabinet secretary in the Chandrasekhar government. He was also the Ambassador to the USA who played a key role in when prime minister Atal Bihari Vajpayee decided to test nuclear weapons. Chandra also worked under four prime ministers. In shaping the nation’s destiny and in all varied positions of responsibilities he had served the nation the very best. His intelligence, knowledge, insights, his practical experiences, his team spirit, his leadership qualities and above all his seer versatility has made him excel in every job he did. 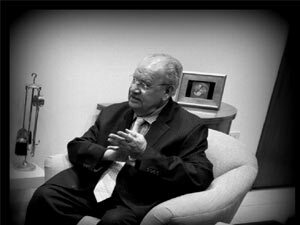 In fact, with practical administrative wisdom of a senior bureaucrat and the vision of a nation builder he was possibly a selfless man of high character who really served the nation best and brought more pride and dignity to the civil service. Also when in 1989, prime minister Rajiv Gandhi looked for the right man who would play a highly critical and confidential role in supervising our secret nuclear programmes, the right man was again no other than the then defence secretary Chandra. For Chandra his morals were his own laws and he would always conduct himself with the strength of his exemplary character. And that probably had led this great man on the righteous paths all throughout his career. Once, while he was Ambassador to the USA, he happened to mention that he was looking for a silver candle stand to give president Clinton as a gift. I bought a piece and gave him the next day. When he asked me for the bill so that it would be reimbursed, I was hesitant as I was indeed feeling good to be given a chance to show a friendly gesture to a man who never demands anything in a country where taking gift is an everyday practice. However, he went on insisting that it was the expenditure of the embassy so there was no need to hesitate. But when he realised that I had made up my mind about it, he did not press me any further. Days passed; one day I received a letter. To my surprise it was a letter from the Clintons, thanking me for the silver candle stand they received. Such was his grace. Is it any wonder then that I believe Chandra could be the best example to young civil servants who want to leave a mark in their career? I pray for his soul to rest in peace and wish all his friends and family members the grace to bear the loss with dignity. Here’s to Naresh Chandra who will always be there in the golden pages of our nation’s history.